I decide to make my own birthday cake to share with my friends, after I search the cakes recipe in cook books and looks around ingredients in the pantry and the fridge, I found this chocolate fudge cake recipe. The recipe adapted from "frame by frame" cook book with slighly change add raspberry curd on chocolate frosting and decorated with vanilla buttercream frosting with fresh raspberry to add colours into the cake. Decorate with vanilla buttercream frosting and fresh raspberry on top. Place the butter and sugar in a bowl beat together until light and fluffy,gradually beat in the egg stir in corn syrup and almond. Spread remaining frosting over the top and sides of the cake, decorate the cake with white frosting or vanilla buttercream frosting and fresh raspberry. That pop of colour makes such a difference! The cake looks most delicious! The cake looks heavenly! 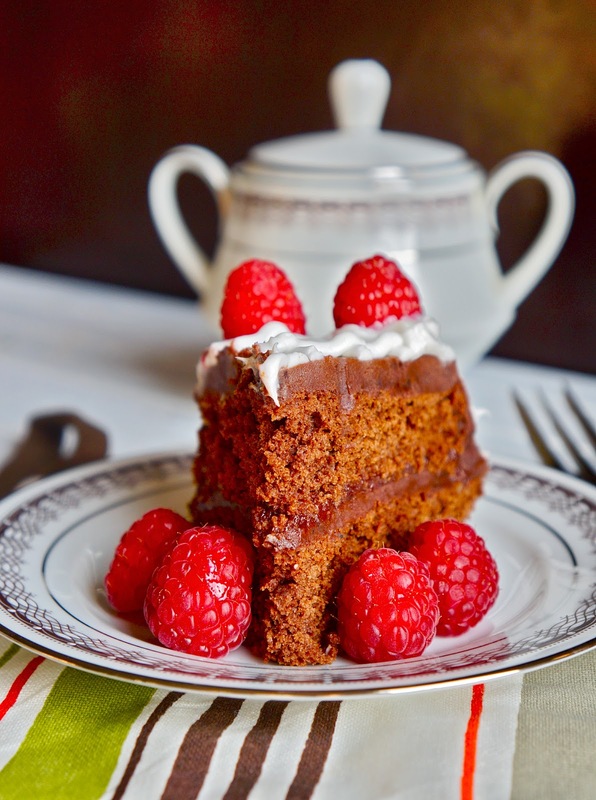 Chocolate and raspberries are perfect together.